A unique blend of orchestral and traditional instuments playing mainly 17th and 18th century Irish harp music, Classical European and suitable contemporary music. 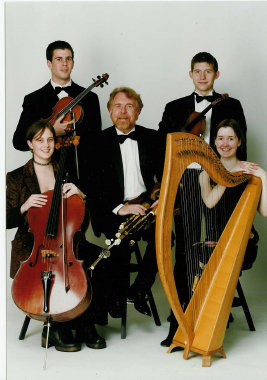 The Orchestrad ensemble’s musicians are all graduates of the Royal College of Music, London. Paul and Jean can form a duo for smaller occasions.